It’s the “back to school” shopping season not the holiday period, still Nintendo’s seen enough. With a slightly stronger dollar improving exchange rates and continuously impressive demand for both the Wii and DS (not to mention software), the Kyoto based game company upgraded their annual profit forecast by 23% Friday. 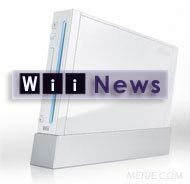 Wii sales forecasts have been notched up to 26.5m units (from 25m) for the fiscal year ending in March 2009. Forecasts for the DS portable have been pushed to 30.5m units, up from estimates of 28m. Sales are forecast at 2 trillion Yen, about an 11% increase above prior predictions of 1.8trillion. Operating profit is set at about 650b Yen. Profit projections are for earnings of about 410 billion Yen (about $3.8b). Worldwide, Wii sales are now at 29.6 million units and counting.